While the headline game, Mü, is the main attraction, this deck of custom cards comes with rules for several games: Mü - A complex trick-taking game. For 3-6 players, ages 12 and up. The Last Panther - A trick-taking game similar to Hearts, where players try to avoid negative points. For 3-8 players, ages 10 and up. Wimmüln - A trick-taking game where players must estimate how many tricks they will take, akin to Oh Hell!. For 3-6 players, ages 8 and up. Rummü - A Rummy-like card laying game where players try to get rid of their hands by playing high-scoring combinations of cards. For 3-6 players, ages 8 and up. Safarü - A card "catching" game using basic adding skills. For 2-4 players, ages 10 and up. Calcory (only in the original 1995-1998 edition) - A memory and calculation game, where players push their luck to uncover the most cards. For 2-4 players, ages 7 and up. Calcory uses wooden markers that were not packaged in subsequent releases, so the game was dropped from the set. Mü is regarded by many as one of the best offerings in the trick-taking genre. Players reveal cards to declare their bids: the highest bidder becomes the Chief and the second highest bidder is the Vice. Both the Vice and Chief choose a trump (either number or suit), and then players try to capture tricks to score the most points. The Chief chooses a partner and tries to cover the bid to score bonus points, while the Vice and remaining players seek to stop the Chief from reaching his goal. The deck consists of 60 cards in 5 different colored suits. Each suit contains cards numbered from 0 to 9, with two of each the 1 and 7 cards. Cards also have 0, 1, or 2 triangles printed on them to show the point value of that card. 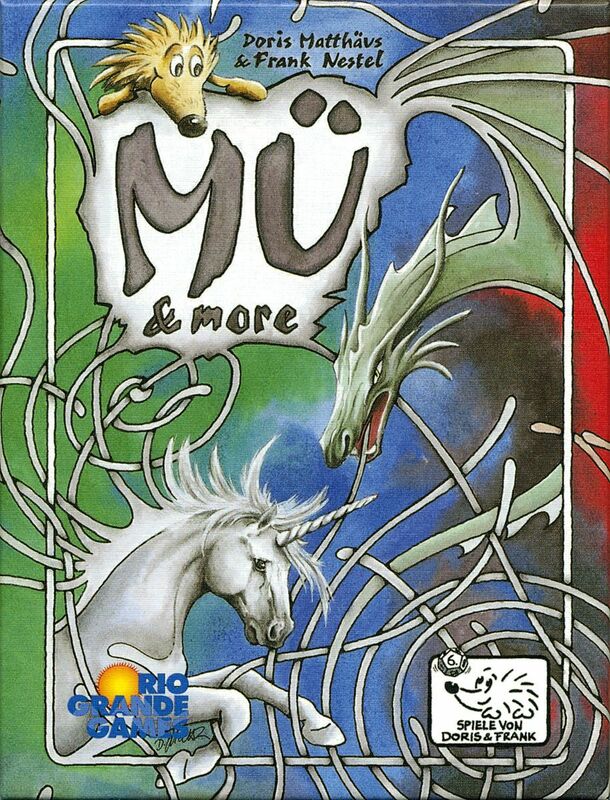 MÃ¼ & Lots More includes a a tweaked version of Mü and a different set of games.